The Design Store is a branch of the Iowa State University Book Store located on the second floor of the College of Design building, directly across from the Student Services and Programs Office (297 Design). It’s on your right if you take the stairs from first floor or on your left after exiting the elevator. See our operating hours here. 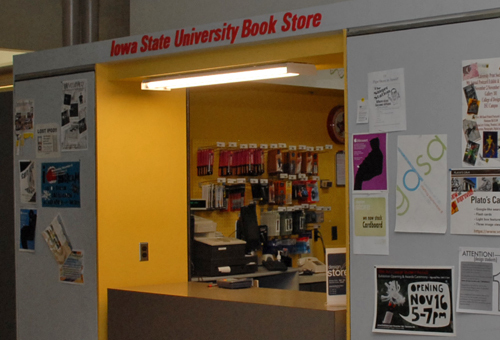 Because space is limited, we are unable to carry everything; however, the Iowa State University Book Store in the Memorial Union has virtually anything you could need. You can also sign up for the free Art Club. Members are eligible for product specials, in-store sales and free product samples. Updates are offered conveniently through email. Just stop by the Design Store and fill out a small form or sign up online!